This movie will ONLY be shown if a certain number of tickets are sold. Your credit card will only be charged when ticket sales reach that goal. Please reserve your tickets as soon as possible. The world’s largest environmental organizations are failing to address the single most destructive force facing the planet today. Follow the shocking, yet humorous, journey of an aspiring environmentalist, as he daringly seeks to find the real solution to the most pressing environmental issues and true path to sustainability. 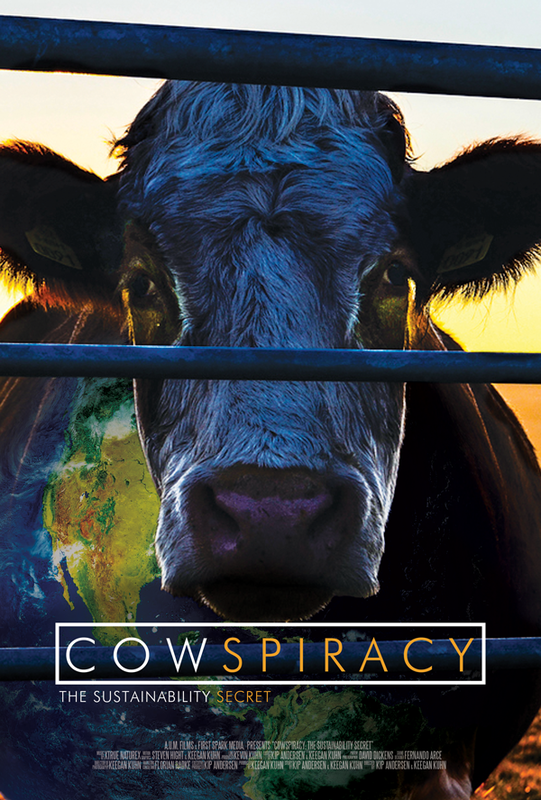 As eye-opening as Blackfish and as inspiring as An Inconvenient Truth, this shocking yet humorous documentary reveals the absolutely devastating environmental impact large-scale factory farming has on our planet. Join our Facebook Event Page for updates on the event!